They also thought about how the children demonstrated our 4Rs. Well done for being such great models to your classmates for the whole year! Well done to every member of our school community for helping to ensure that we beat the target of 95% for the year. In fact we finished on 95.6%, which is our highest ever total. The individual Year Group results can be seen below. 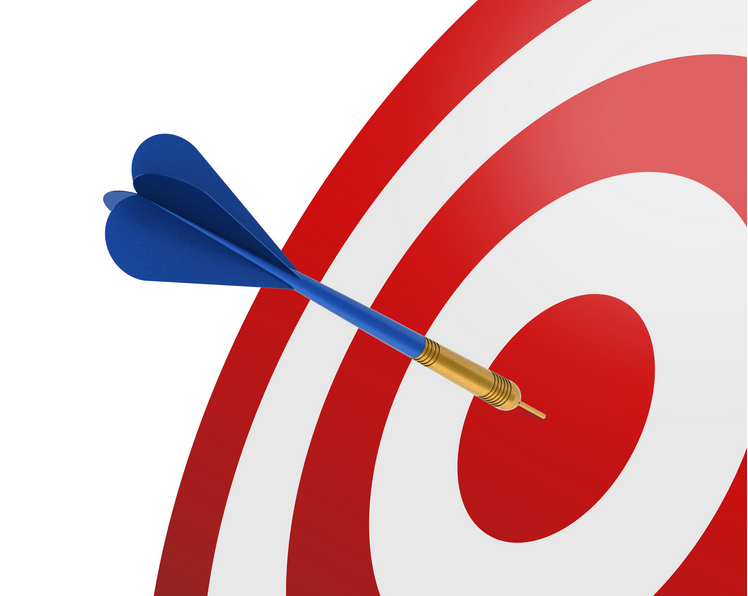 Now we will have to review our target for next year as it would seem that we can do better than just aim for 95%. A great effort... well done! Congratulations to the 30 children who managed to achieve a perfect 100% attendance score for this academic year. We now have three families who have managed perfect attendance for 3 years in a row! The Wright family, the Borrell family and Emma Groom. Not a single day off in three years. They have been awarded family passes for the cinema, in addition to a £5 book mark (for two years), and the cupcake party, trophy and certificate for this year. Turning up every day on time is a skill that will make you more employable later in life. 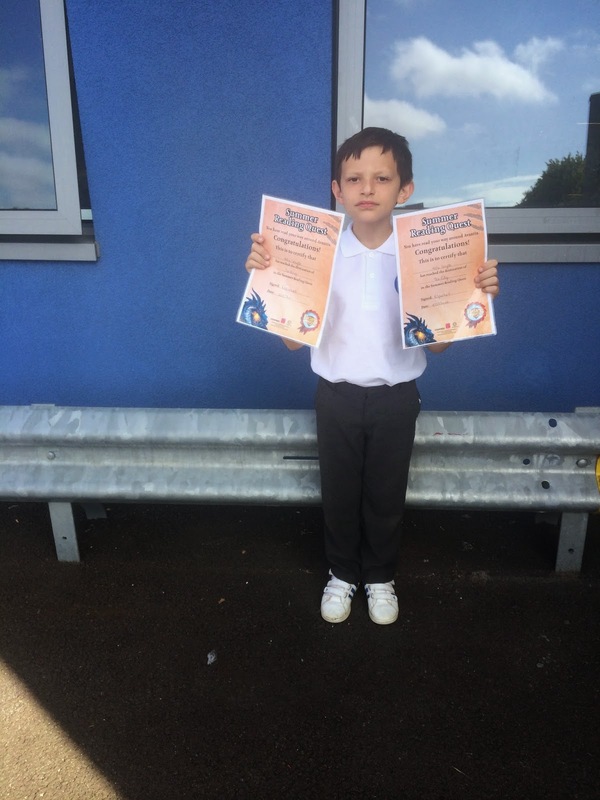 These Broadford pupils really have excelled and are to be congratulated. Don't forget to get caught reading in Miss Sparkes's Summer competition. Simply have a photograph taken of you enjoying a book in an unusual place and you could win a prize! The competition will run from now until Friday 12 September 2014. You can send your photos in when we return in September or share them on Broadford's Facebook page. The competition is open to all pupils, from Nursery to year 6, with the prize being a £10 book token. Aimee is one of our past competition winners. Click on the link to see her reading on Southend beach last year. 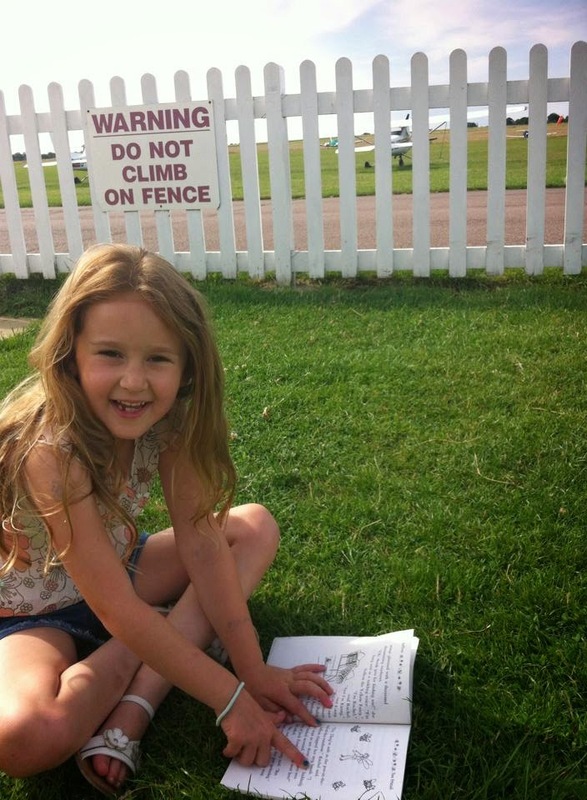 So far we have had an entry from Isabelle who combined reading with an airshow! 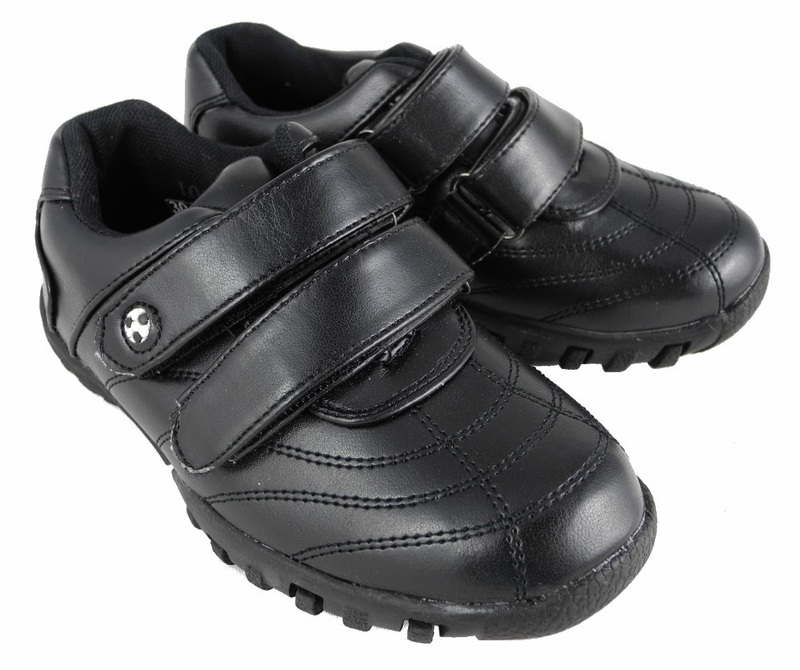 When you are buying new uniform for September please remember that shoes should be predominantly black. Nail Varnish: Please remember that nail varnish and make up is not to be worn by pupils. Any intricate designs that have been painted on during the holiday need to be removed by the start of school in September. Office staff will have a stock of nail varnish remover to ensure finger nails are clean. Well done to Matthew Leadbitter for a very detailed project about the WWE – it was packed with facts about wrestlers! Mrs Nicholls and several of the KS2 Choir, gave up part of their Saturday last week to go and sing at the Dycorts School Fete. It was a great opportunity for our pupils to visit a different school and support a community event. Congratulations to the Dycorts organising committee who raised in excess of £2,000 for their school. Our pupils sang confidently and have been invited back for next year! 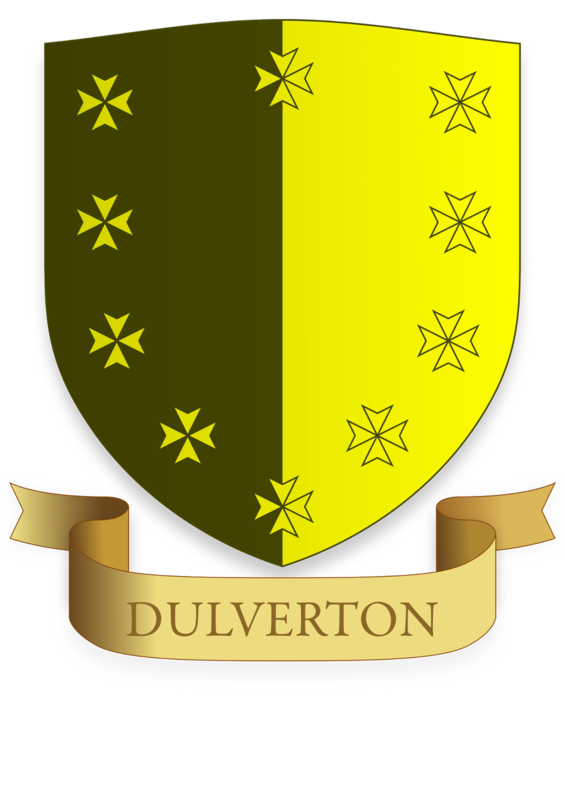 Every half term the Houses total up their scores and see which team cam out on top. Points are awarded for: politeness, being helpful, showing kindness to others, being smartly dressed, following instructions from adults, helping to tidy the school and having a happy, smiley demeanour! In the final half term, the competition was as close as ever. In the end it was Yellow who were victorious with a huge 419 points - 21 clear of Blue. Lily Jones finished her Silver tracker. Emma Bloy now has enough merits to receive her Golden Bookmark. Molly Wheal has collected her Golden certificate. 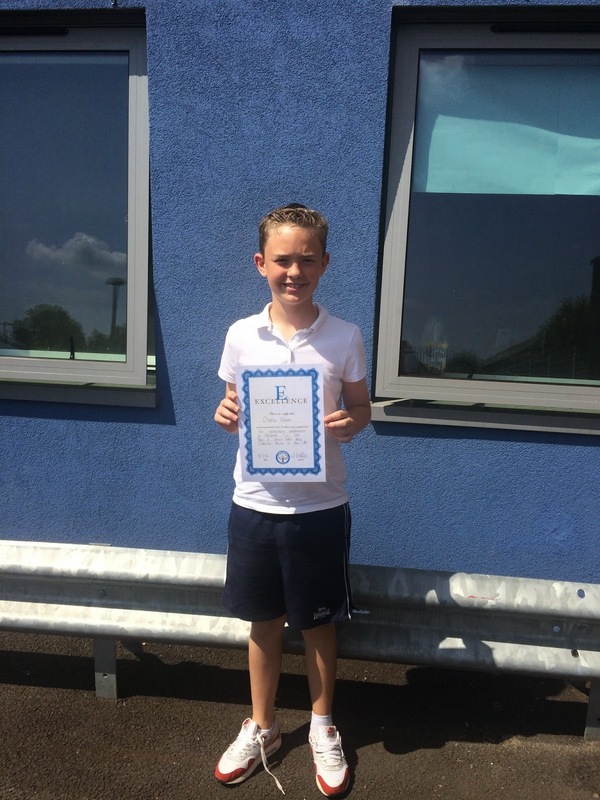 Teddy Pilcher has now received his Platinum pencil and pen set. Natalie Towner and Lucy Stevens have enough merits to end their Diamond trackers. Kingsley, Jaseem, Dawid and Holly Clark have now all collected their Star Award. Well done to all of you! Jordan Iordan, Finley Livingstone, Emily Johnson & Lily Jones all had their names pulled out of the hat for the ‘KS1 Return a Book Raffle’. Alfie Smyth has reached the next stage of Beast Quest. 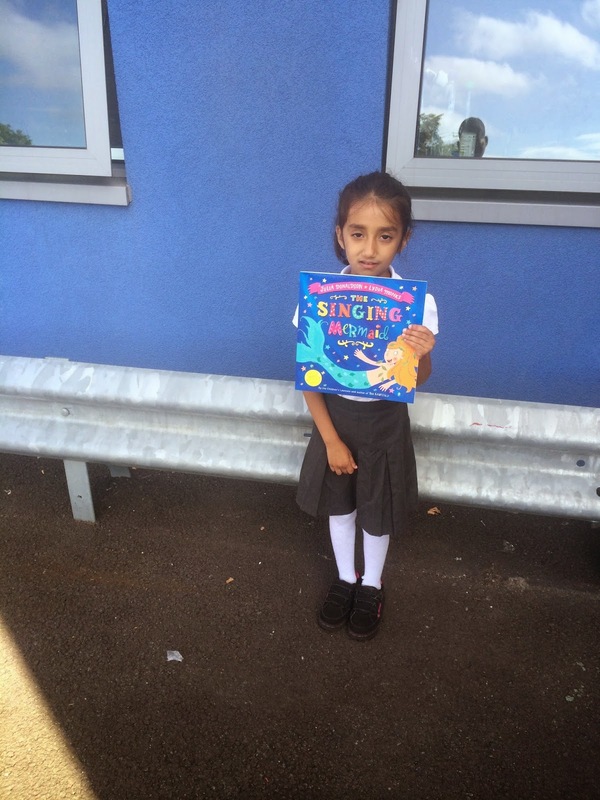 Well done to you all… don’t forget to sign up for the Summer Reading Challenge. 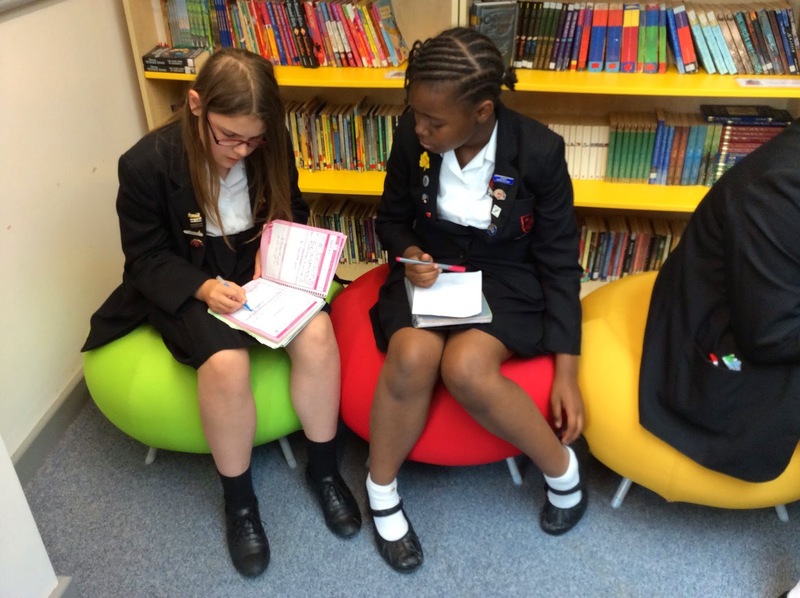 Pupils from Broadford Primary and The Chafford Secondary school have been meeting up to discuss ways in which they can learn from each other about using technology to improve learning. Digital leaders from The Chafford had heard about Broadford and their use of social media and YouTube during a recent presentation by Stephen Heppell. 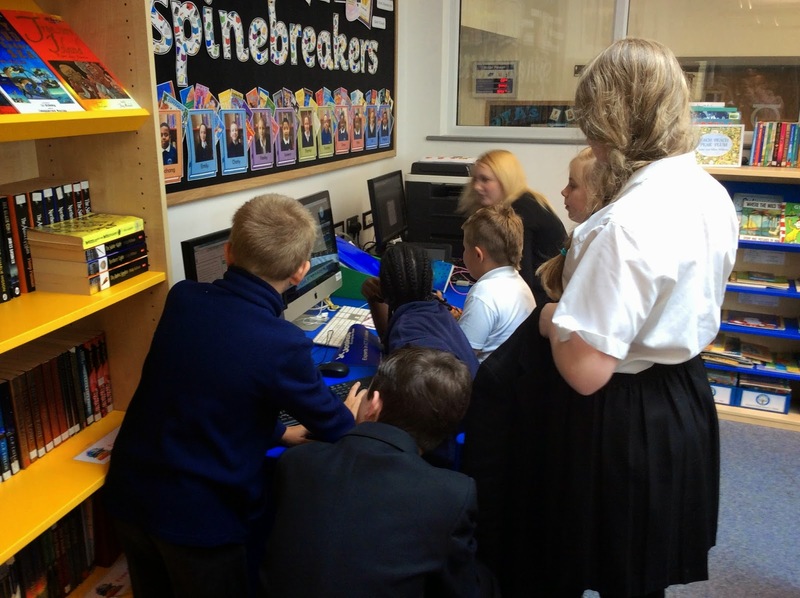 The Broadford Digital Leaders showed their Secondary counterparts how they are responsible for creating blog posts to recognise pupil achievements (writing, maths and displays), recording book reviews on audioboo and YouTube, videoing school events to be included on the website and trailling new ideas to be used in class. 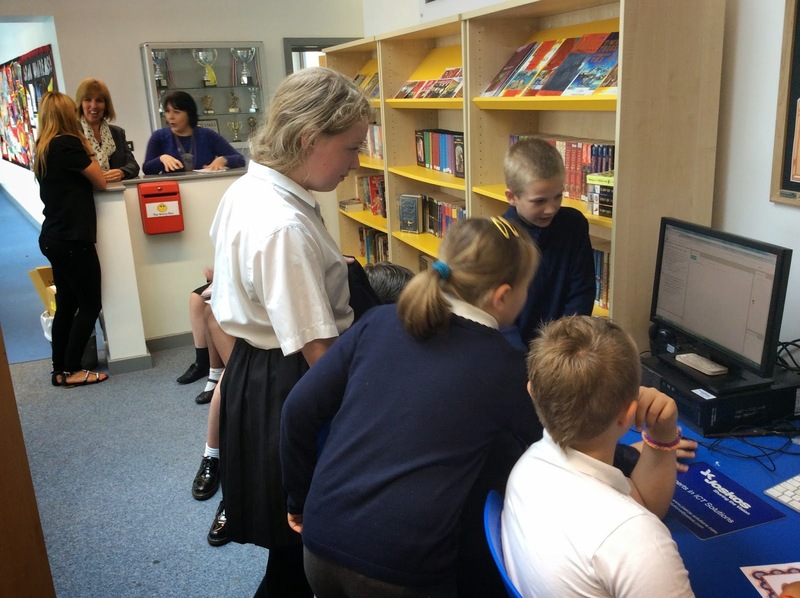 The next step is for the two teams of Digital Leaders to collaborate on some ICT projects that will link the two schools and for Broadford to visit the Chafford. After two years in the EYFS with Mrs Stanley and her team, our Reception children have now graduated and will arrive in KS1 in September. This first stage of any child's education is one where they make incredible progress. Areas of self care, physical development, language and early literacy develop faster here than at any other stage of education. All the evidence we have shows that pupils who attended our EYFS setting and stay until the end of KS2 make greater progress and attain better results than those pupils who arrive afterwards. So your children have got off to a good start! The graduation was a chance to celebrate what they have achieved since arriving at Broadford, and look ahead to the next 6 years! There was one final chance this week to give out the last of the certificates and prizes for the children. This year has been a record breaker for the number of certificates given away. We have also had to find new ones as the children have achieved in so many different categories. Who would have thought you would need an attendance certificate for 3 years 100%? One of the pupils realised we didn't have a certificate to celebrate becoming a free reader! Congratulations to all those below... the last awards of 2013-14. In addition we have managed to reach the heights of 95.6% attendance this year - a new record. By living up to these values we have built a school where behaviour is graded as outstanding. Achievement of that nature deserves a special reward... and it gives Mr Drakes a chance to live out his dream of being an Ice Cream Van owner! After a very successful year it was time to say goodbye to our latest Year 6 cohort. They have managed to make outstanding progress across Key Stage 2. 100% of pupils made the expected progress in all areas. We are above National for all of the three main areas: Reading, Writing & Maths. Our number of children reaching Level 6 for Maths is the highest ever. Our Year 6 children have also been great leaders: helping on the playground, assisting in assembly, caring for younger pupils, running the snack shop at break time and representing the school on trips and visits. Well done to all of you, you will now be ready for Year 7. Thank you to the Nursery staff and Mr Clark for organising the Nursery Sports Day. The children had a great time showing Mums & Dads how they had developed their jumping, running and balancing skills. It is hard to sum up the achievements of this academic year in just one paragraph. Whilst I have always had the highest of expectations for the pupils, staff, parents and Governors of Broadford Primary, this year has exceeded them. For us all to have created a school that is seen as outstanding in every area is a wonderful achievement… one that doesn’t happen very often. The children and families of Harold Hill deserve nothing less. To do it in a way where there is a real balance between academic excellence and the personal development of every child is even more special. Every member of our community has worked so hard to place our school in the top 1% of those nationally – and it has been done in a very short time! To have made such significant progress that we received a letter from the Secretary of State for School - David Laws MP - is a real achievement. This year really has been the pinnacle of my career so far and I am immensely proud of the heights our children have reached: 100% at the right level for reading, 100% at the right level for maths, above expectations for phonics and reading in KS1, performing at the O2, winning the Spelling Bee, supporting local charities and community groups and helping other schools. I am looking forward to September already – we will finally be a two form entry school, new staff and pupils are going to bring a new energy to our community and we will have the chance to build on the successes we have had this year. Thank you for your continued help and support. 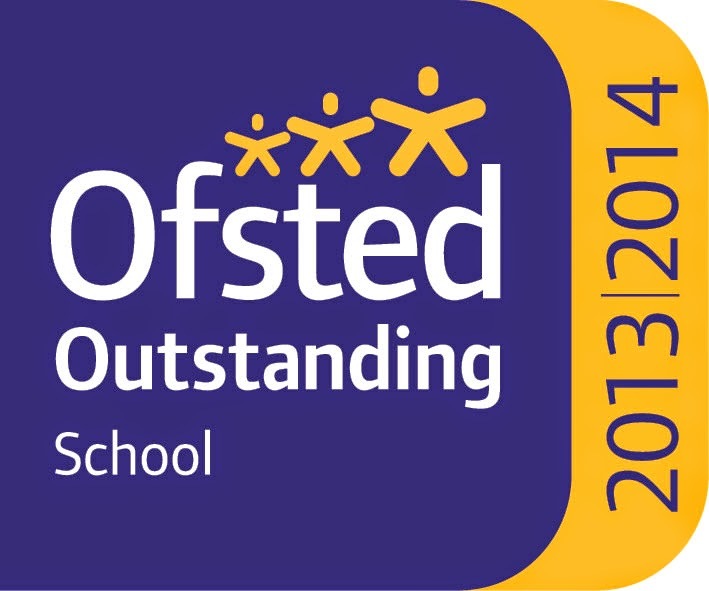 You have all helped to turn Broadford into the only outstanding school on the Hill and you should be very proud. We remain committed to giving your children the very best and the end of this year simply means the start of the next stage of our continued improvement and development. 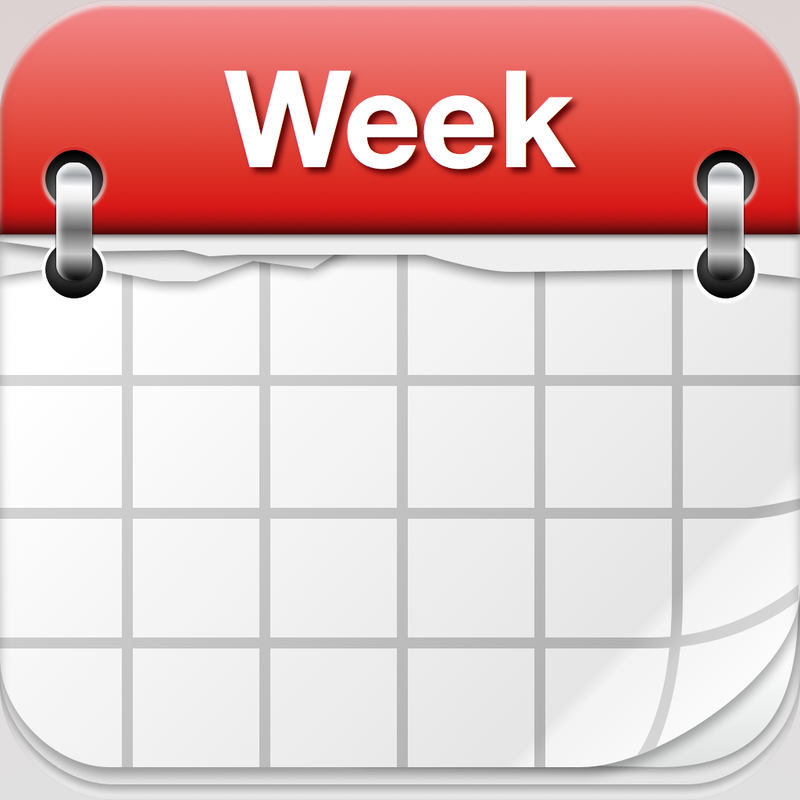 Enjoy a well-earned break and we look forward to seeing you in September! In our final assembly of the year, we had a range of awards for our Year 6 pupils. Although we set a very high bar for progress and attainment in 2013, this year's cohort have managed to exceed the target! They have been a great example to the other pupils about how you can achieve anything if you use the 4R skills effectively. The pupils below received special recognition for the way they progressed this year and showed great leadership. 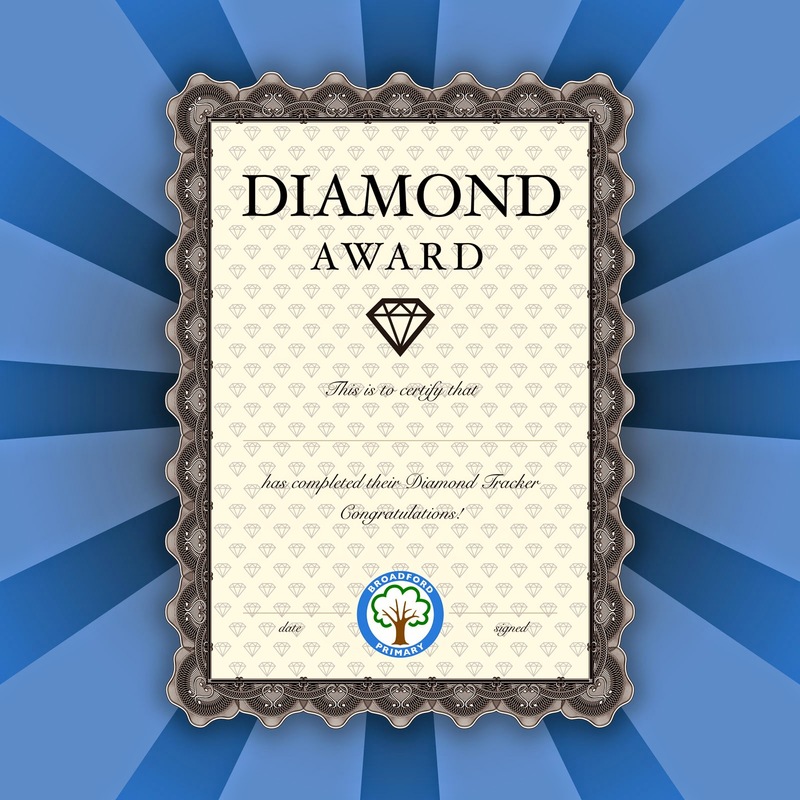 This award is chosen by the pupils. Having considered which pupils in their class have best typified the pupil values and 4R learning behaviours they vote for their choice. Charlie Adams - for his powerful, brave and treacherous performance as Macbeth in the end of year show. Bouncy Castle Day - Suntan Lotion Essential!